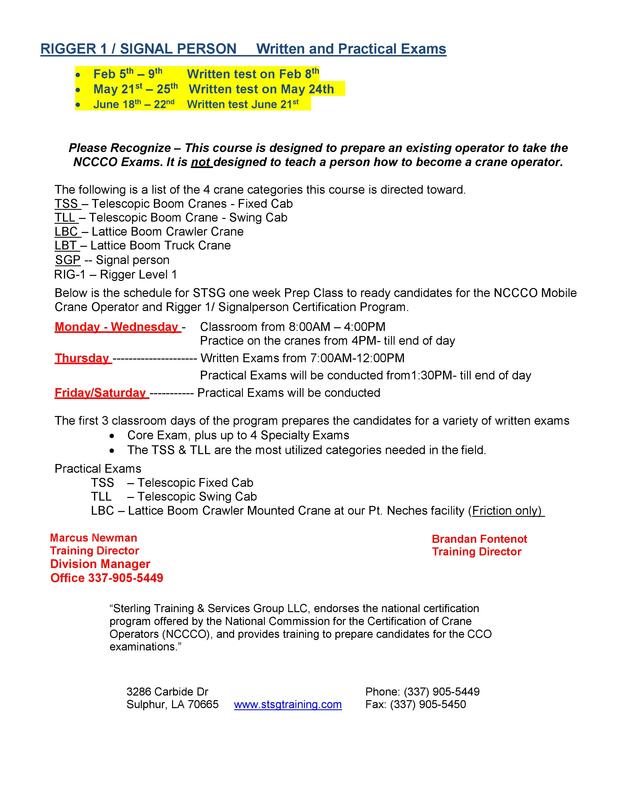 Get NCCER and NCCCO Certified Today with STSG! Check our schedule for updates! How Can STSG Help You? STSG is an industry leader in crane, rigging, heavy equipment & safety training with our committed/ seasoned Management staff with over 100 years combined experience. STSG offers OSHA, ASME, ANSI, API & PCSA compliance inspections, testing and services for all types of cranes, lifting devices and heavy equipment. Our clients are in a vast variety of industries, including oil and gas, petrochemicals, power generation, pulp and paper, construction, manufacturing, heavy lift and transport, utilities and industrial processing. We offer certification in a range of equipment that’ll make your resume stand out to your current manager or future employer! Prepare for your career with STSG! 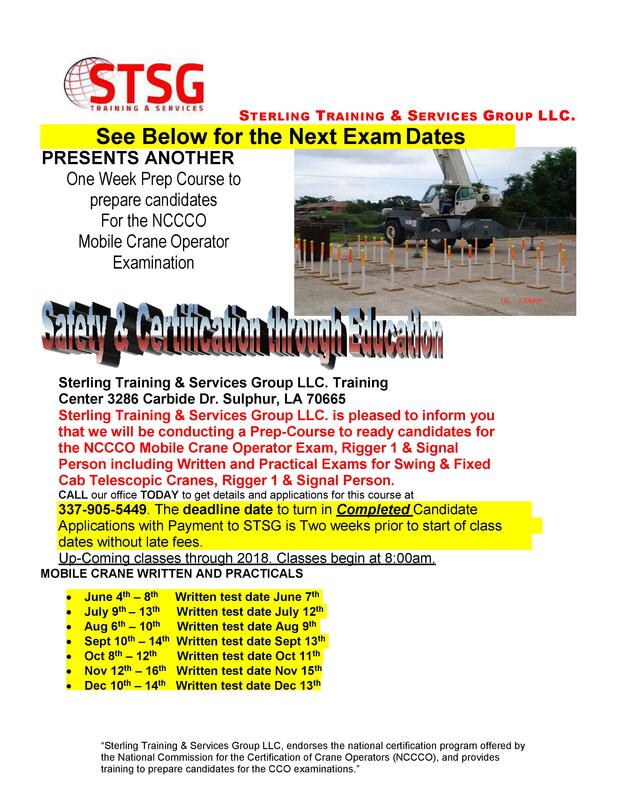 STSG in Sulphur, Louisiana is on a mission to help you get the training and certification that you need for your career. Whether you’re in construction or industrial work, good certification will be the passport that you need for advancement and promotion. Operating a crane is no small feat, but it’s not out of reach if you have the right training! 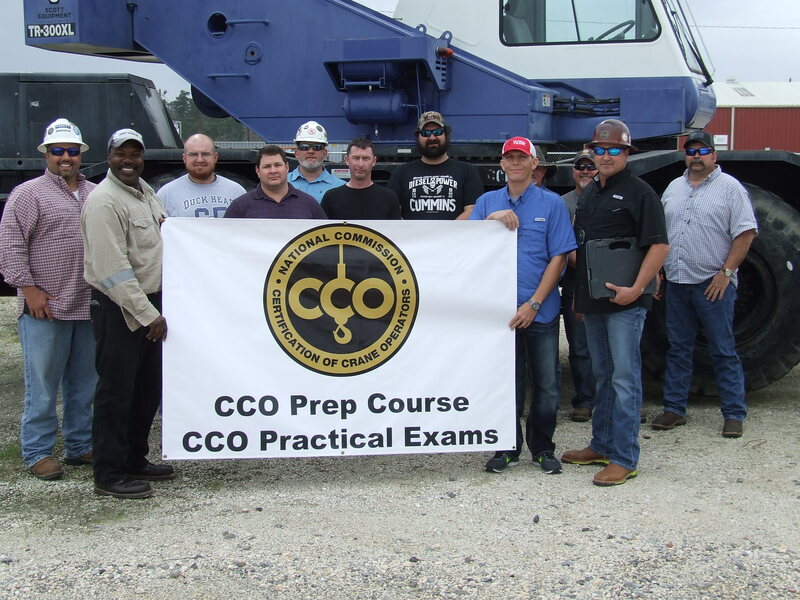 With NCCCO & NCCER certification from STSG in Sulphur, Louisiana, you’ll get instruction and hands-on training operating cranes for construction and industrial purposes. Your skills will ensure you’re a sought-after professional.